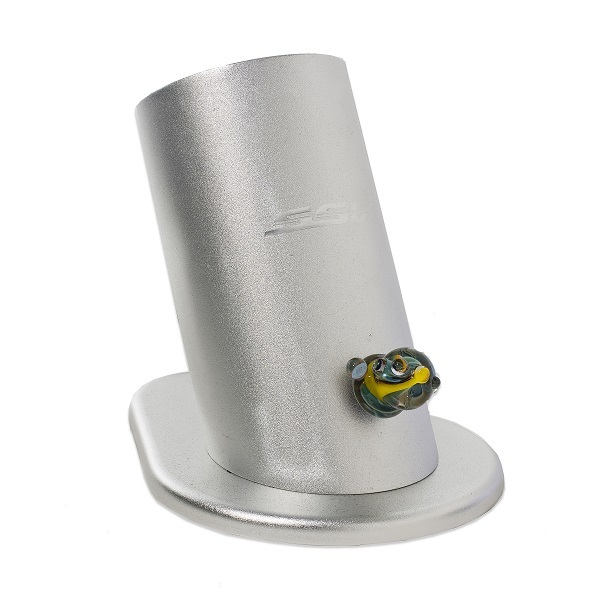 The Silver Surfer Vaporizer is a classic whip-style vaporizer that is truly out of this world. This exotic-yet-professional desktop vape is made in Colorado, USA and is perfect for novice and expert users alike. A vaporizer model that is as adored for its quality of construction as it is for its artistic flair, the Silver Surfer is a premiere whip style vaporizer made specifically for vaporizing your favorite material. 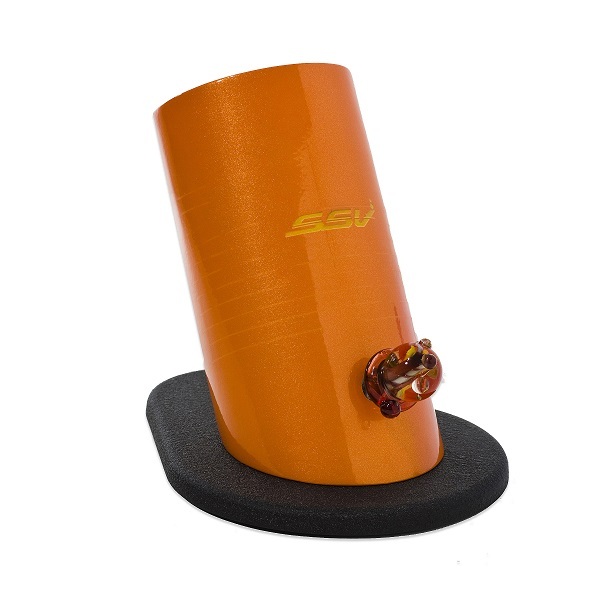 The SSV has gained a great reputation in the vape purist community thanks to its ease of use and efficiency during the vaporization process. It also features a hand-blown glass knob, heater cover and glass wand. Each of these pieces are 100% unique and artistic. HOW DOES THE SILVER SURFER WORK? 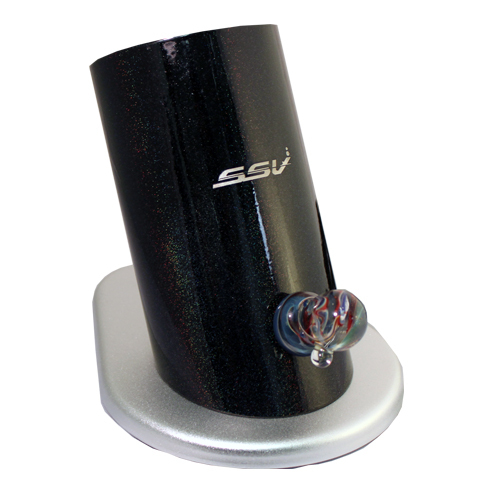 The “SSV” features a reverse angle heating element and a standard connection, which means the user holds the heating chamber (or “wand”) up to the heating element. The user then regulates the air flow over and through the materials using his or her breathing. 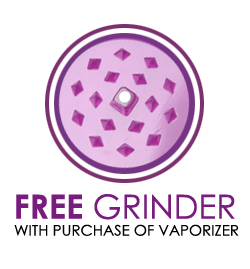 The Silver Surfer is tilted at an angle so that your material will stay safe in the chamber, but if you aren’t using the standard model, the user must hold the wand in order to get a continuous flow of vapor. The Silver Surfer Vaporizer is an intuitive piece of equipment that features a single “clock style” temperature knob. 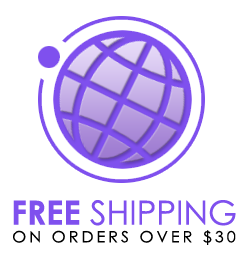 The ideal position for new users is 1 o’clock, with experienced vaporists able to vaporize safely between 2 and 3 o’clock. The first thing you’ll do when you turn on the Silver Surfer is turn the temperature all the way up (to the 5 o’clock position) and let it run for 10 minutes to melt off any factory oils. The further past 12 you go, the hotter your ceramic heating element will get. The Silver Surfer Vaporizer stands about a foot tall, weighs about 5 pounds, and its internal components are encased in a durable anodized aluminum shell. 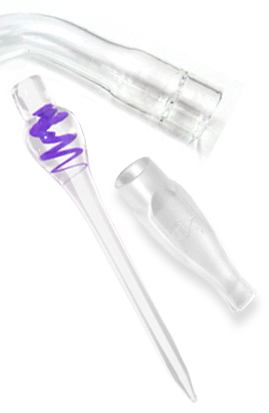 The whip is comprised of a vinyl tube connected to a glass wand (where the materials go) and a glass mouthpiece for direct inhalation. 7th Floor’s artisans offer a wide variety of customizable accessories for the whip components to match up with whatever color SSV you’ve chosen. 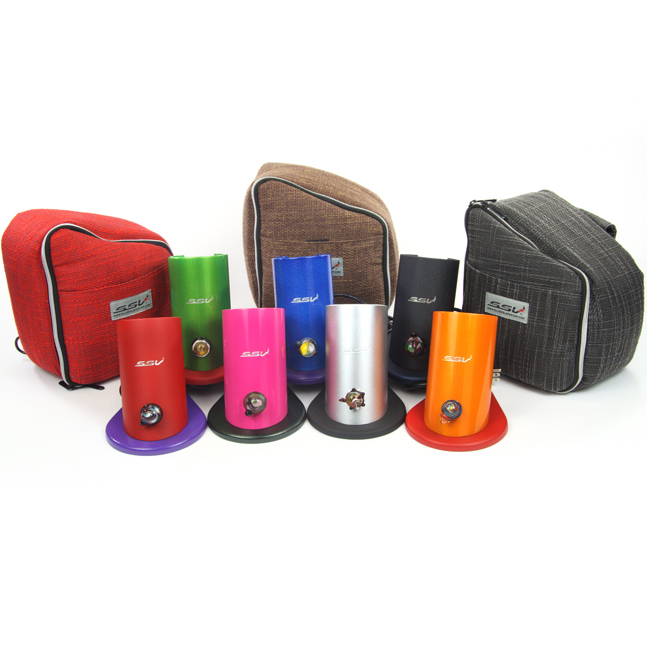 At Vaporizer Galaxy, we offer the following colors: Black, Blue, Green, Orange, Cracked White, Silver, Red, and Zen Rainbow. "The Silver Surfer is the best direct draw only vaporizer available, period. Though some may consider it limited because it doesn't have a fan for filling up balloons, but the vapor production that this unit creates is just top notch. The angled heating element prevents any of your herb from falling forward onto the heating element and burning. The glass is hand made and is very tough to break, but super easy to clean. It heats up quickly and the ceramic element is made to last for years of extensive usage. Cannot say how much I enjoy using the Silver Surfer!" "I'm really happy I purchased this vaporizer. I am able to get some great quality vapor. The flavors that I get are nice and clean. Good product overall and good value. " "For months I've been getting great vapor with this vaporizer. I've had a few other ones and this is actually one of the best ones that I've ever used. At around $219 you can't go wrong. " "I never really bought into all the fancy electronic type vaporizers. Too much ends up going wrong and you end up having to replace it. I love my silver surfer because it's not a computer, it's a vaporizer! It's easy to use and gets the job done - not to mention it looks great." "This is a good whip style vaporizer with a cool hand blown gas knob. Everything about it feels more like your traditional glass pipe, which I like. I also like the clean vapor that I get with the ceramic heating system that it has. Another thing: not overpriced. " 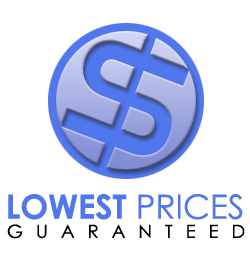 "Best vaporizer at a lower cost"
"I got tired of buying expensive desktop vaporizers that break. This one has lasted me already over 8 months and it still works great. Haven't had any problems with at all and it is real easy to use. If you're looking for a good desktop vaporizer without all the high tech hype and bs that other vaporizers promote, get this one." "Silver Surfer = Great Value"
"Don't get me wrong I really like my Silver Surfer. It is one of the best desktop vaporizers per dollar in the market. IT is much better than the Vapor brothers vaporizer that is comparable in price, I also think is just as good as the DaBuddha, and much better than the hot box. So, if you're looking for an affordable desktop vaporizer that performs very well, the Silver Surfer is the way to go. My silver surfer gets me plentiful and clean vapor and it's actually really easy to carry around. I've taken it to friends' houses and used it there, so you really don't have this huge, bulky desktop vaporizer like let's say... the Volcano. The Silver surfer is worth every penny. " "Angled stem makes whip fall out way too easily"
"I overall enjoy my silver surfer but the down angled glass piece on mine is awful. Maybe it was a manufacturer error but the glass on glass barely fit and pulls out with the lightest tug spilling bud everywhere. It should be angled the opposite way so you can use a screen to prevent bud from falling into the heating unit."